Do you need to update your space or improve your building’s energy efficiency? If you answer is yes, you might be a great candidate for starting a window replacement project. We are your most recommended source for Windows Replacement in South Pasadena, and our expert team is uniquely qualified to serve your window replacement needs for any residential or commercial property. There is no job too big or too small for our well-trained team. Our team is skilled and dedicated to their job, and our goal is to provide the best quality windows for the most beautiful aesthetically pleasing effect. We also work with you to select the most fitting window hardware for your budget, saving you money and time over the life of your property. Schedule a free, no obligation appointment for our expert team to come to your property and learn about your needs. We will do the necessary precise measurements, and discuss with you your desires for the new window outcome requirements. We will then respond with a well thought out plan for a window renovation project tailored to your property. You will then be able to speak with our team and discuss any questions or concerns you might have. Once the necessary changes have been made, and you are completely happy with the plan, we will order the materials and begin work on your window replacement project. Our exceptional quality Milgard windows come in a large variety of sizes, shapes, and designs that fit any property or style. You can either make the choices yourself through our extensive catalog, or allow our expert team to walk you through the selection process. Whatever your choice, our expert team will ensure you are getting the best quality for your money, and work within your time and cost constraints. Did you know that new windows can save you money over time, and even pay for themselves eventually? All of our windows contain energy efficiency technology that start to lower your utility bills immediately after installation, and for years to come. Not only will your windows look great, your space will feel more comfortable too while saving you money every single month. Does that sound too good to be true? Just ask hundreds of our happy clients who have completed their window replacement journey with us over the years. They are each enjoying their beautiful windows allowing them to appreciate their property and the beauty that surrounds it, while saving energy. Simply give our office a call today to discover what we can do for your property. A brighter space, a lower bill, and a pleasing atmosphere is well within reach. You deserve fantastic windows, and we will work with you to come up with a plan that results in a beautiful space and is affordable. 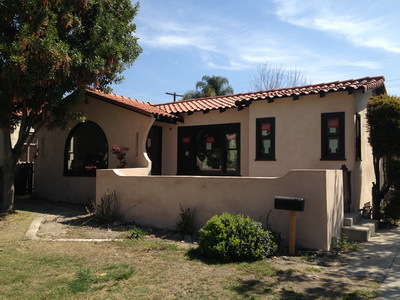 If your property in need of some new life, consider windows replacement in Studio City. We are well equipped to design and install any window replacement project whether it is for a residential or commercial property. You might be surprised by the ease and affordability of high quality new windows. Let our expert team work up a estimate for you, and take the first step to improving your property and increasing its resale value. Or if you are building a new construction, our team is well trained to handle new building projects as well. Save time and money, let our expert team in Windows Replacement in South Pasadena help you plan your next window renovation project. Not only will you be impressed by the finished project, but you will have enjoyed working with our friendly and dedicate staff as well. That’s why we are highly recommended by our previous clients to their family and friends. Give us a call today to start your window renovation journey with us.